Denton Vacuum’s proprietary Versa cluster platform is an automated front-end option for high-volume manufacturing. 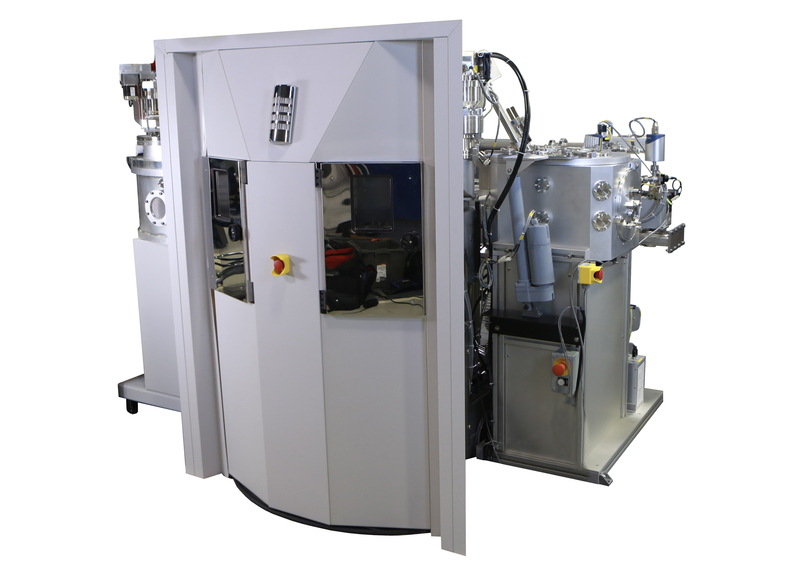 It can be configured with up to two cassette load locks and six coating chambers or modules. A robotic semiconductor-grade handler moves the substrates from the load locks to the modules to be coated in multiple layers of different materials without breaking vacuum. The Versa is designed to work with 200mm or 300mm process modules. It’s compatible with the Discovery sputter module and the Voyager PE-CVD system, and features dedicated sputter etch modules and dedicated metrology options. A dedicated pre-clean module is available as well, along with substrate conditioning. To enable high-volume production, the Versa runs on Denton’s ProcessPro-HV software, which uses a fully automated material scheduler and recipe manager to load the modules and execute process steps across multiple chambers with accuracy and efficiency. ProcessPro-HV is SEMI E95 compliant and features comprehensive data logging and charting within the tool for process control and analysis. The Versa enables greater production efficiency to meet higher throughput requirements. It automates the loading process so that you can maximize efficiency, and is compatible with both metal and oxide deposition. The multi-chamber configuration allows you to coat multiple layers at a time without breaking vacuum, and you can save time by venting just the cassette load lock instead of the entire sputter module. The ability to carry out the coating process without breaking vacuum also prevents oxidation, which is critical to producing quality thin films in certain applications such as multilayer contact metallization. In order to ensure optimum efficiency, it’s critical to use a process module that is compatible with the Versa for high-volume production, such as the Discovery or Voyager. These modules prioritize overall process performance so you can scale your production depending on throughput needs, allowing for consistency, repeatability and an optimized configuration even when production is ramped up. Contact Denton Vacuum to discuss the right Versa tool configuration for your application.